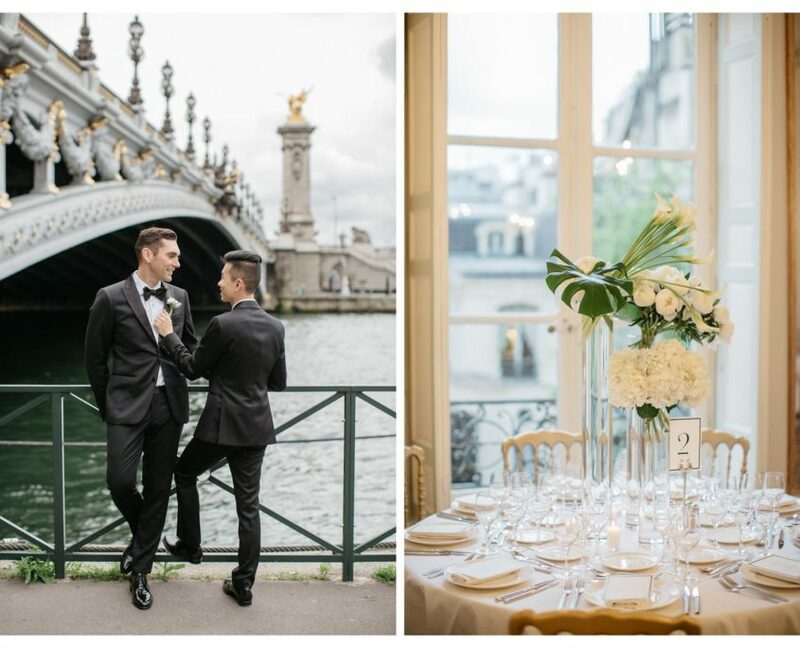 Sen & Tony decided to get married surrounded with friends and family in France. 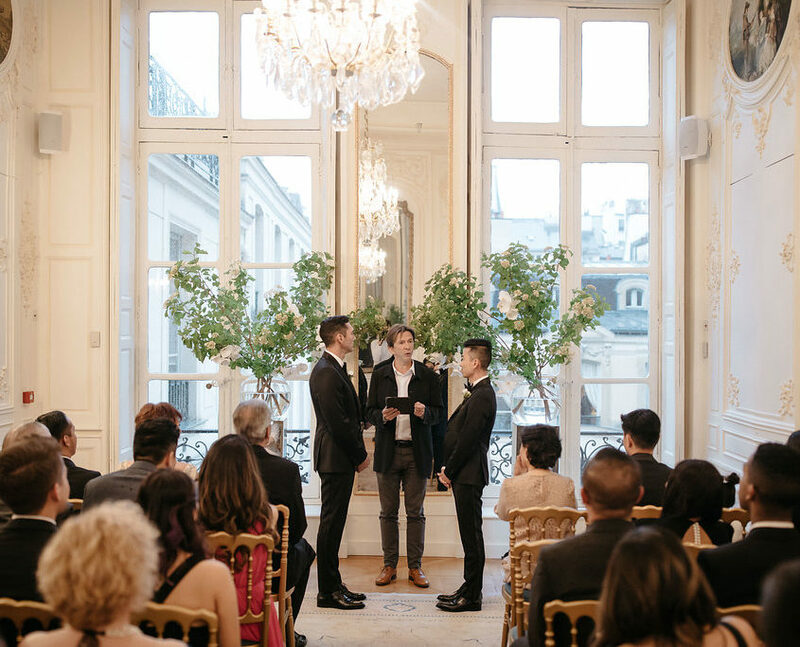 Their celebration took place in a traditional Parisian hotel. 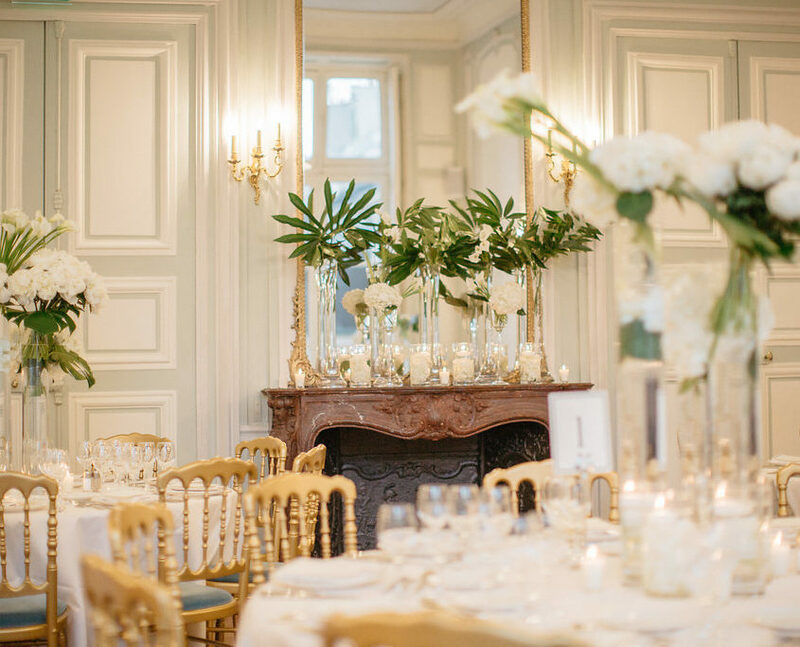 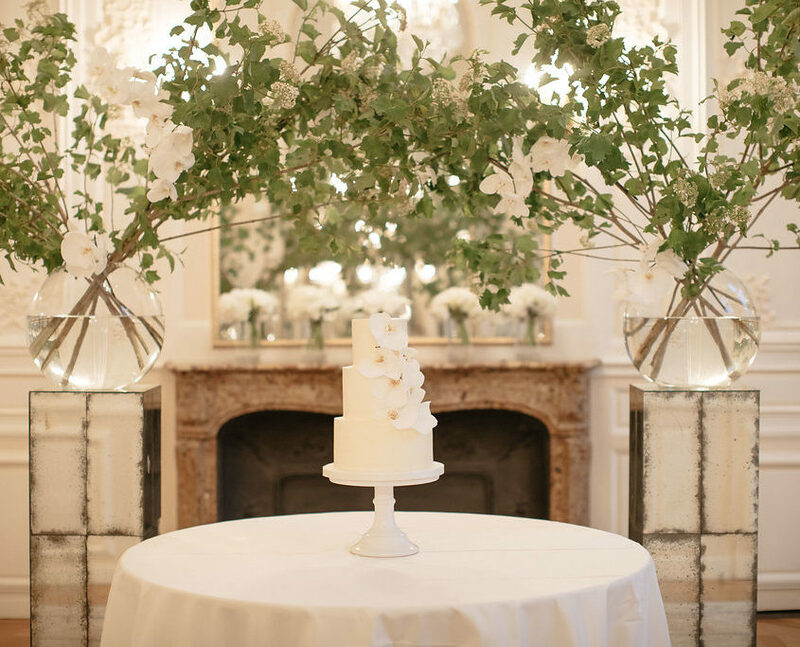 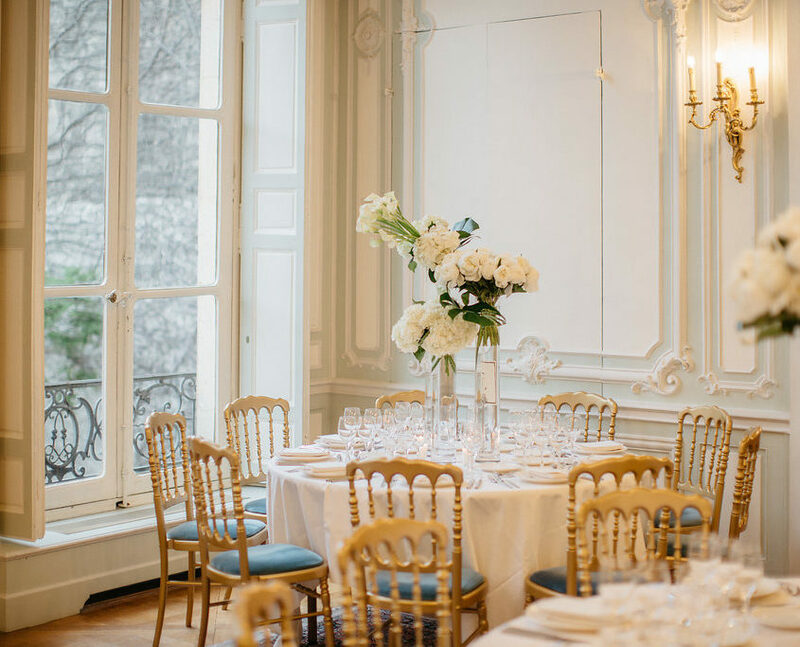 The reception was decorated with candles handmade by Sen. White flowers and luscious modern leafy bouquets complemented the tall french windows and the mirrors on the walls. 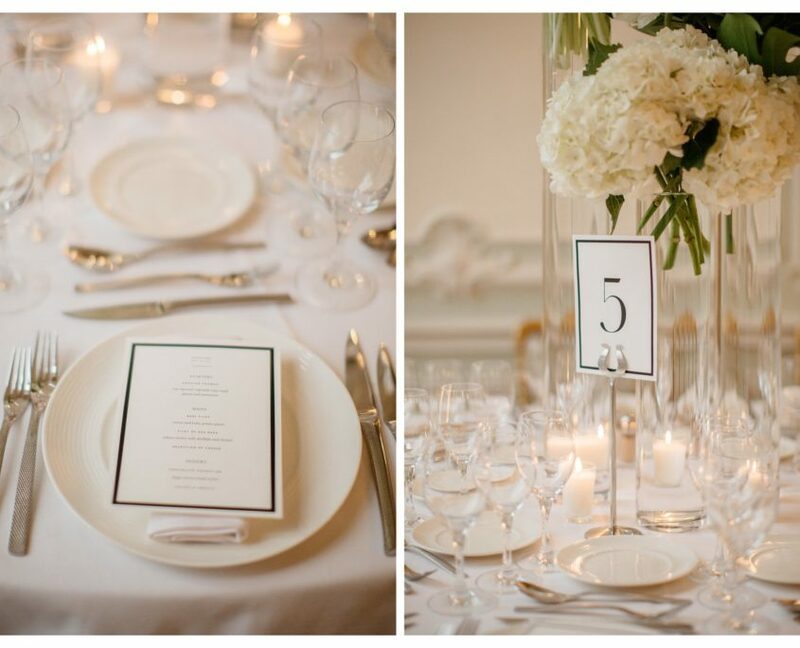 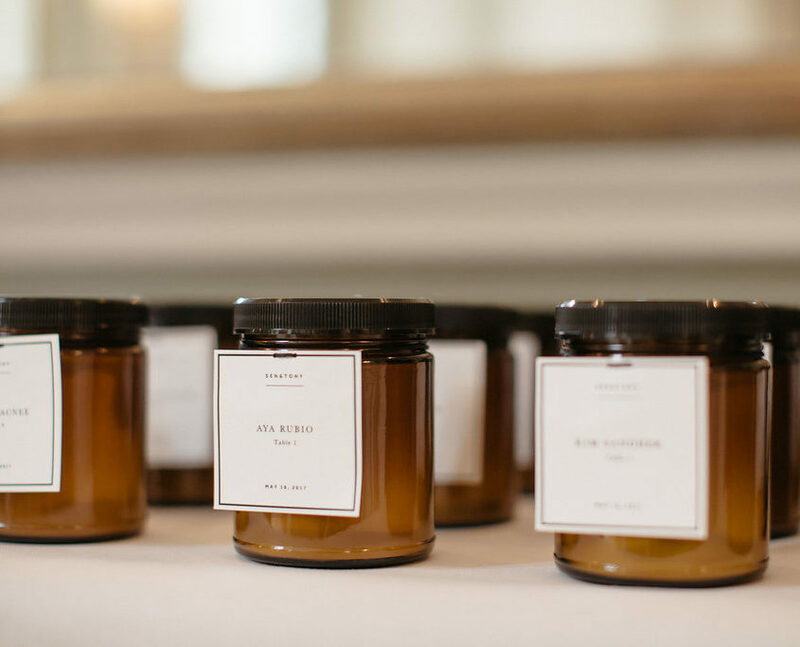 Touches of black and gold on the tables gave a sophisticated finish to this beautiful party.